The collapse in EOH’s share price continues unabated. The JSE-listed IT group fell as much as 14.8% on Tuesday after tumbling 9.7% on Monday, reaching levels last seen eight years ago. It recovered considerable lost ground to close the session down 4.6%. There’s no specific news in the market to explain the latest sharp decline in the share price, which has taken EOH’s market capitalisation to just R3.8-billion by Tuesday’s close. The share has lost 78% of its value in the past year, making it one of the worst performers on the Johannesburg bourse. The share fell to an intraday low of R23.39 on Tuesday, a decline of almost 15% from Monday’s closing price. The last time EOH was at those levels was in 2011. At Tuesday’s close, it had a trailing price-to-earnings multiple of just 3.7x. Investors are awaiting a circular from EOH with details of a planned new black economic empowerment deal with Lebashe Investment Group, which is also expected to provide it with a funding facility of up to R3-billion. TechCentral understands that EOH will provide an update to shareholders later this week, which will include more information on the group’s strategy and the Lebashe transaction. EOH disappointed investors with poor financial results for the six months ended 31 January 2018, which were published on 18 March. Headline earnings per share slumped by 23%, despite a 19% increase in revenue. 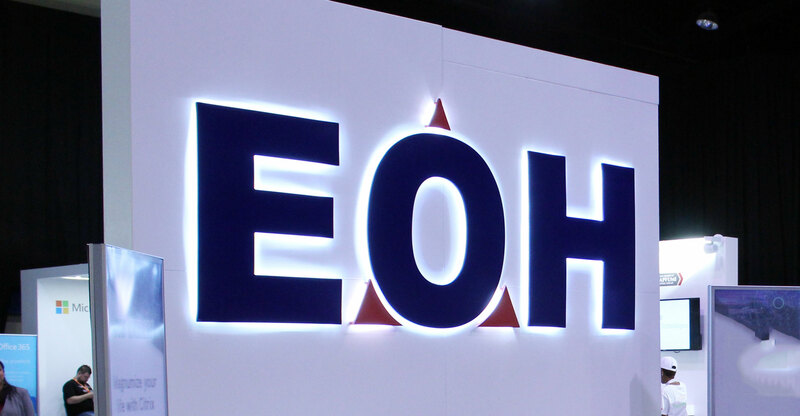 The results raised concerns about EOH’s cash flow and its ability to collect monies owing to it, particularly from public-sector clients. Investors are clearly nervous not only about what the full-year results to 31 July might reveal, but also a lack of detail about a plan to split the group into two distinct operating entities, analysts say. In mid-March, the group said it would create two separate businesses, one of which would continue to trade under the EOH brand and the other with its own brand and identity. Little further information on the planned restructuring has been forthcoming since that announcement. The two businesses would have their own growth strategies, go-to-market approaches, business models and cultures, EOH said in March. The EOH-branded business, which would make up 55% of group revenue, would offer end-to-end IT services, including systems integration, and growth will be largely organic rather than acquisitive. The other business, called NewCo (for now), would offer a high degree of specialisation and deep levels of expertise with domain-specific intellectual property and would grow both organically and through acquisitions. Business units in NewCo would be “relatively autonomous” and would be “differentiated by vertical-specific offerings”. It would focus on high-growth industries. EOH said the restructuring would reduce complexity, lessen management span of control, provide greater oversight and stronger governance, improve agility, and allow each business unit to realise its full potential. The restructuring, it said, would unlock shareholder value. It said at the same time that it would work with Lebashe Investment Group to pursue growth opportunities. Lebashe would subscribe for new ordinary EOH shares for R250-million, while EOH would have access to a funding facility of up to R3-billion from Lebashe to help with its growth ambitions. The deal would also improve EOH’s black economic empowerment credentials.